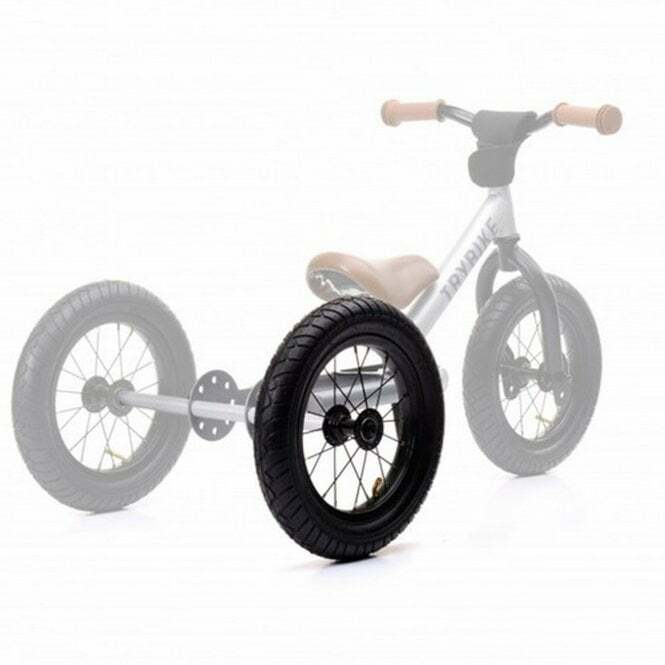 With the Trybike Steel 2 in 1 Balance Bike Trike Kit you can transform your little one's Trybike Steel 2 Wheel Balance Bike into a 3 Wheel Balance Trike! Using the Trybike Steel 2 in 1 Balance Bike Trike Kit, the Trybike can easily be converted from a bicycle into a tricycle in a few simple steps. The kit contains an extra third wheel and a long axle for conversion from a 2 to a 3 wheeler, suitable for children from 2-3 years old.